We welcome everyone to come and share a cup of morning coffee with us at the Helsinki Baltic Herring Market on Tuesday 9 October 2018 from 9am to 11am. 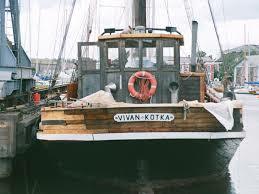 Coffee will be served on sailboat M/aux Vivan, located at the edge of the western harbour basin (“Cholera Basin”) off the Market Square. Come by for an update on the latest Kotka Maritime Research Centre news and topical research as well as discussions on port digitalisation (the DigiPort project), inland navigation development (the INFUTURE project) and more. Please sign up here by 1 October so that we can brew enough coffee for all comers.